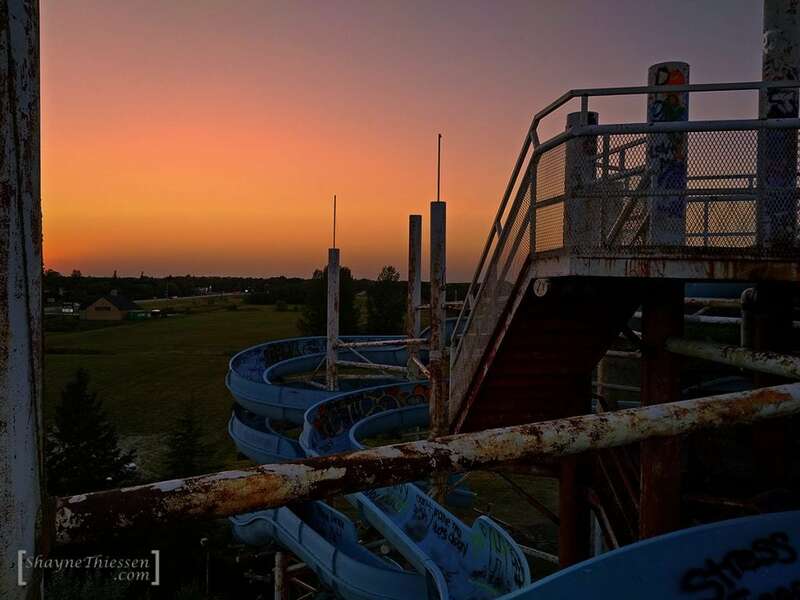 Located near Lockport Manitoba is the former site of Skinners Wet n’ Wild waterpark. 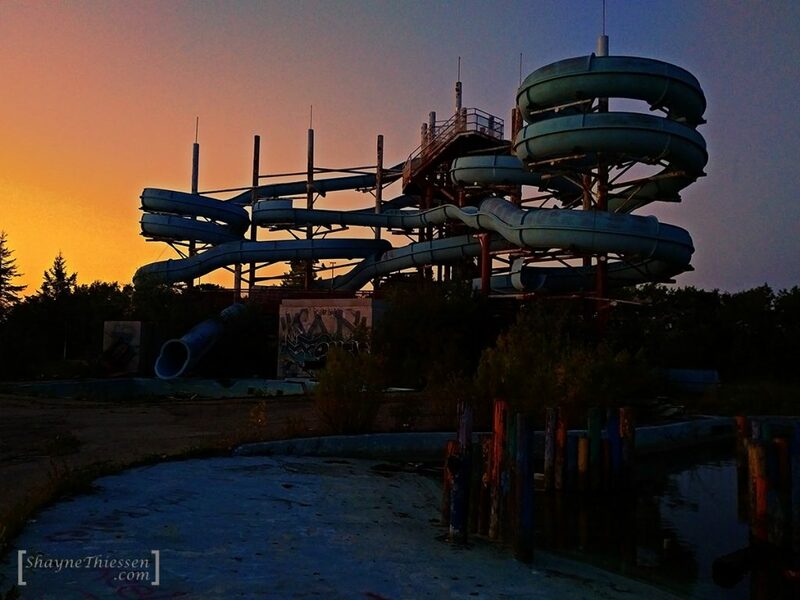 Opening in 1984, the waterpark was sold to a development company in 2005 when operating it was no longer economically feasible. The park was then closed and left unmaintained. 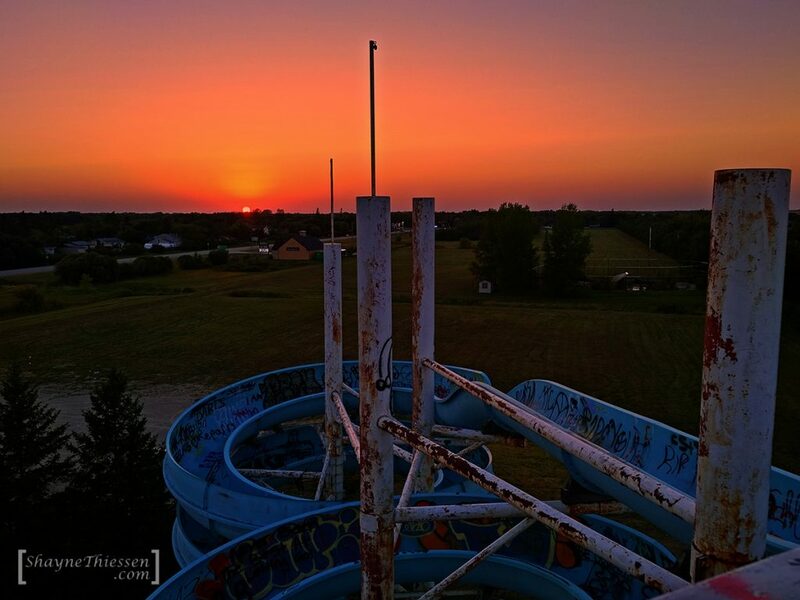 As of 2017, right before its demolition, the 7 story high complex would shake in the wind. 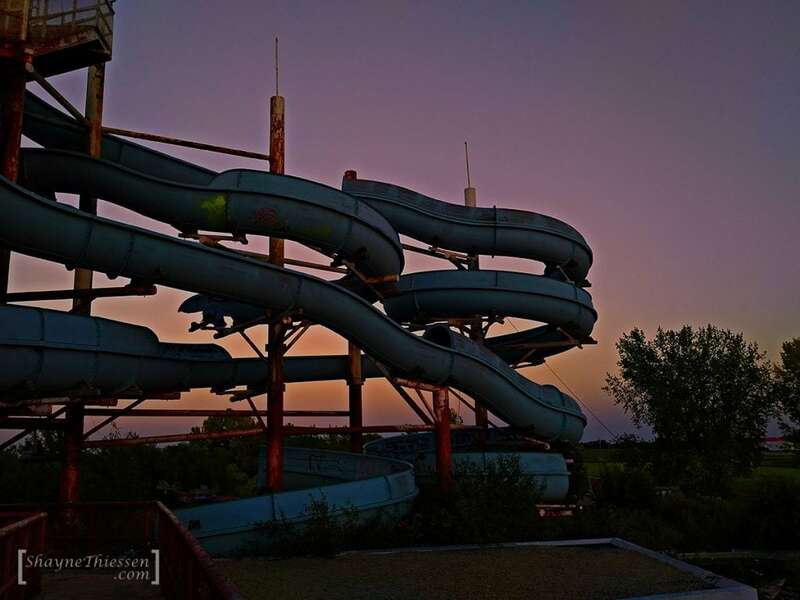 The waterslides themselves had started to crumble. Parts of them had fallen to the ground. Others had holes where the plastic had just given way. 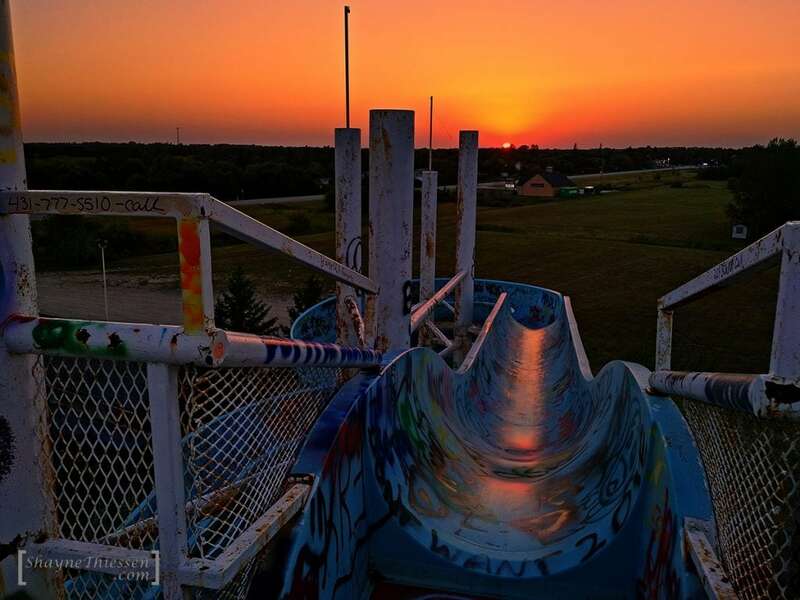 Every inch of the slides are covered in graffiti, including gang signs, names of teen lovers, and obscene gestures. 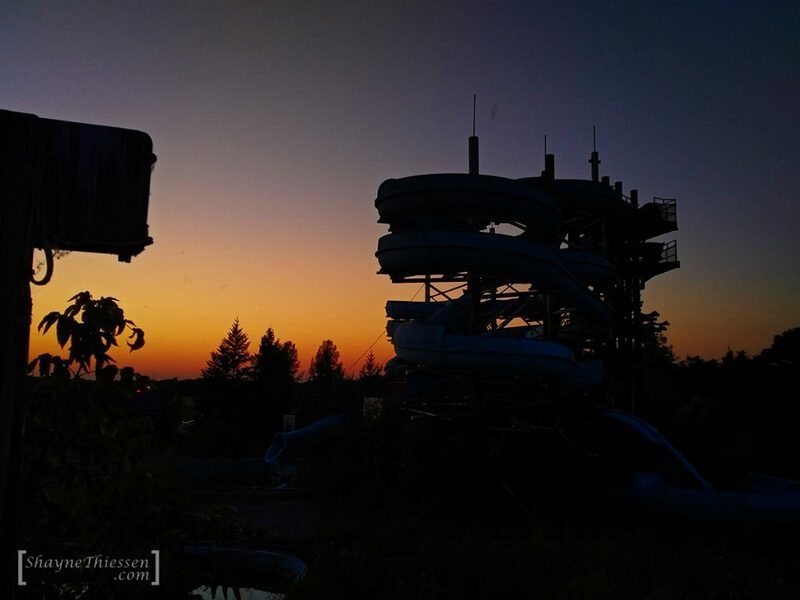 The waterpark was eventually demolished in the fall of 2017.